When Joey Rubin stumbles upon a group of elderly women swimming in a lake one freezing January morning, she thinks they must be mad. But then they dare her to come in. Joey, an overworked New York architect, has come to the Cotswolds to oversee the restoration of Stanway House - the stately home that inspired J.M. Barrie to write Peter Pan. But it hasn't been easy. The local residents aren't exactly welcoming, and then there's the problem of the brooding caretaker, a man who seems to take every opportunity to undermine her plans. She soon begins to feel that she can't do anything right. Until, that is, she begins to take a daily dip with the members of the J.M. 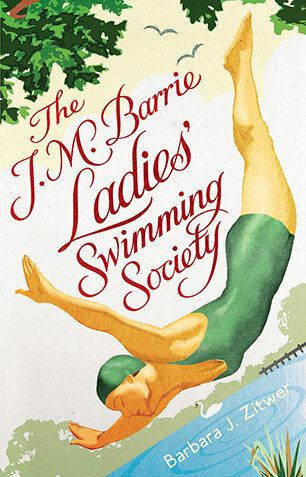 Barrie Ladies' Swimming Society in their private, watery Neverland. They will teach her that it's not the house that needs restoring; it's her. Barbara J. Zitwer is an international literary agent. She graduated from Columbia Film School and, prior to working in publishing, she produced films including Vampire's Kiss with Nicolas Cage. Zitwer co-wrote the play Paper Doll about Jacqueline Susann. She lives in New York City with her husband and their two dogs. This is her first novel.